I have to say, I love the album cover for this release, very nice. But we must never judge a book by it's cover (I think that also stands with album covers). 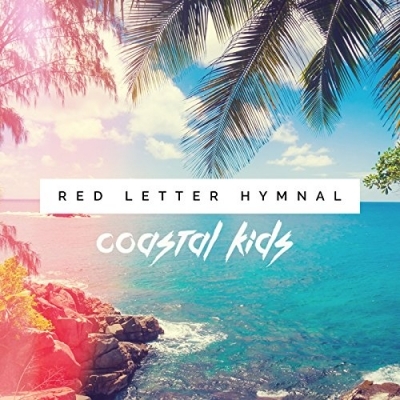 So what did I make of this album from Red Letter Hymnal? It might be only 2 minutes in length but opening track 'Futures' packs so much in. It's a piano led emotive track that drags the listener in. Before you have time to take in all the emotion of the opening track we jump very quickly to a modern pop dance track 'Ashes'. Read More I have to say, I love the album cover for this release, very nice. But we must never judge a book by it's cover (I think that also stands with album covers). So what did I make of this album from Red Letter Hymnal? Now I really like this track yet there is one part of it that could get annoying after a few listens. It's a real marmite moment. Between the chorus and the verses there is a high pitch melodic sung line of 'na na na na na, na na na na na na'. I understand why it's in there, it kind of fits and works in the modern dance/pop music world, but if you're not in the mood for it, it could easily come across as annoying after a few listens on repeat! Apart from that, the track is brilliant. And that's the only thing that I wasn't fully sure about on the album. Other strong songs include the brilliant 'Come Alive', the acoustic guitar Jack Johnson inspired track 'Slowin It Down' (which is a lovely song), and also the message behind 'That's What I Call Love' which is stunning, heartfelt and beautiful. Overall this album falls into the fun, summer vibes kind of album. It's upbeat, positive and fun; Mixing together, energy and great messages through the songs. You will be hard pressed to find an album that is as uplifting and cool as this album from Red Letter Hymnal.